Due to popular demand, this diorama playset for Nendoroids is being rereleased! 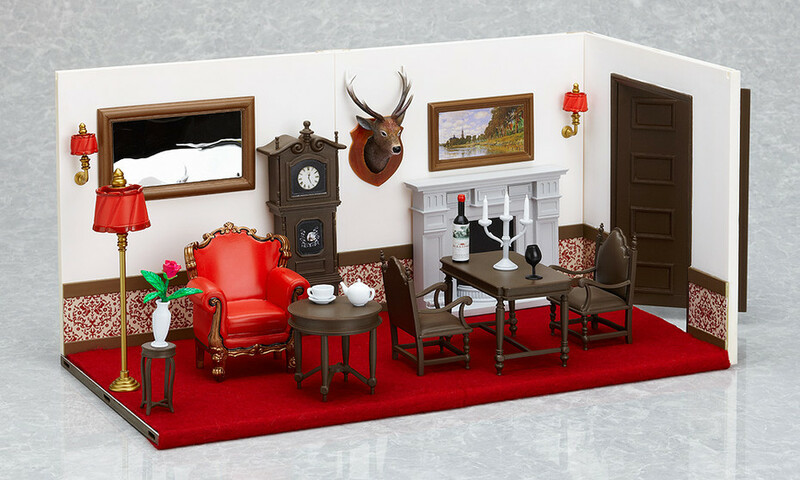 This playset provides an elegant Western-styled home for your Nendoroids and is separated into two sets; this A set is the window-side of the room, and is designed as a living room for your Nendoroids. The window is made from translucent parts for a realistic window-like effect. The included carpet is made from felt and can be stuck on however you wish. A variety of high quality, Nendoroid-sized items including a tea set, table and chair are all included. Give your Nendoroids the luxurious life they deserve! The A and B sets can be connected to form a single, larger room. 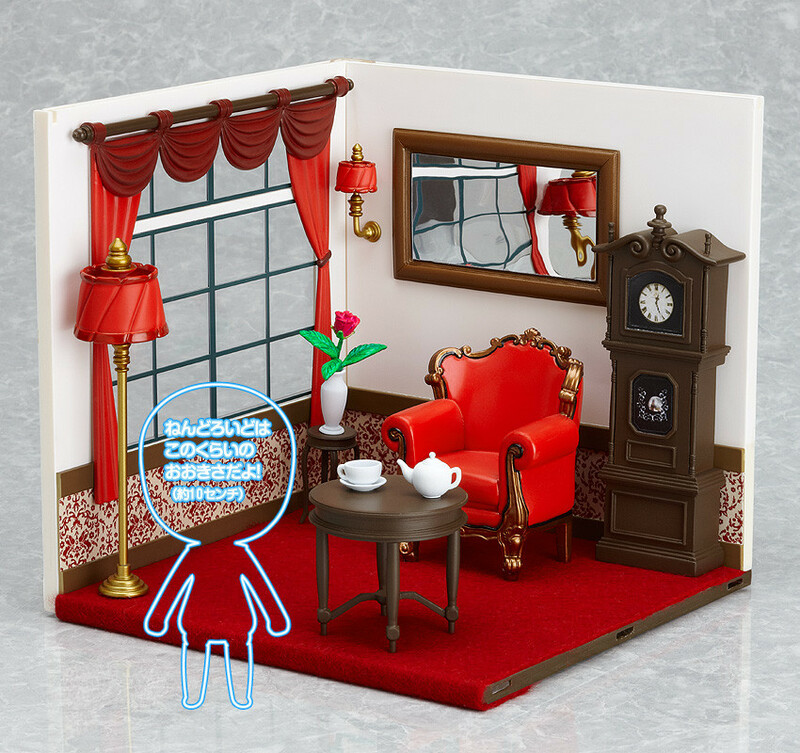 Grandfather clock, mirror, wall-mounted lamp, floor lamp, flower vase with stand, table, tea set, chair and a felt carpet. *Please note that no Nendoroids are included with this product. ABS&PVC non-scale diorama set for Nendoroids, approximately 160mm in height. Preorders will be open from 8th December 2016 (Thu) from 12:00JST until 12th January 2017 (Thu) at 12:00JST.